Consumer’s choices are driven in large part by their emotions and unconscious, not their rational mind. Attributing meaning and emotions to a brand is therefore key to activating consumers’ gut feelings and inner self. One popular way to create this emotional connection that recently caught my attention is the use of archetypes. Are you using archetypal branding? Now is the time to start! Archetypes were first introduced by modern psychologist Carl Jung as images and thoughts with universal meanings. They are extremely powerful because they are anchored in collective unconscious and experiences, meaning that they should appeal to any consumer from any cultural, social or demographic background. Why use archetypes in branding? By developing an archetypal brand, you answer basic questions about your brand like: “who am I?”, “what is my story””, “what are my intentions?”, which help consumers see you like a person and identify with your brand. 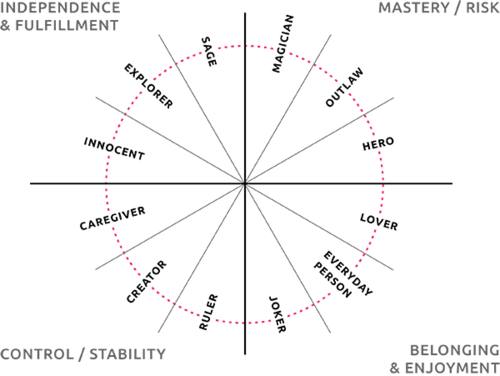 Based on Jung’s work, 12 brand archetypes have been developed by Dr Carol Pearson, and they are now in use (as such or in modified versions) by a lot of branding consultants and creative agencies. Most brands we know can easily be matched with an archetype. For instance, Nike is a pure Hero, LEGO is an Explorer, Dove is a Caregiver and Alpha Romeo a Lover. Can you think of which archetypes best match brands like Microsoft, or IKEA? And which brand is a Sage or an Outlaw? Finding an archetype that describes your brand will help you articulate your meaning and provide a strong basis for your storytelling and content strategy. It will help you differentiate from competition and create a stronger internal brand as well. What is your brand archetype? And if you had to match your own personality to an archetype, who would you be? Get in touch with agencies using the brand archetype frameworks, such as Page + Page in the UK or Allegory Studios in the US. Personal branding is not new, but it’s still all the rage. After a couple of months of its existence and incessant reminders to try it out, I decided to give in and create a branded.me page. It took me 15 minutes. I just had to choose a layout and it basically imported everything from my LinkedIn account. At the cross-roads of finishing my PhD and looking for a job, it is the perfect time to create yet another ego-centred page, I told myself. And if even a Business Insider article says that it’s what every job seeker needs, who am I to disagree? 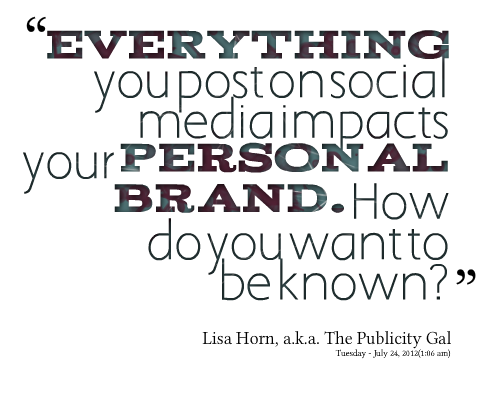 But mainly, seeing just how far we can push personal branding fascinates me. I certainly have nothing more special than the multitude of others to tell, mind you. But, hell, if someone is going to make it super easy for me to have a sexier version of my electronic CV, I’ll take it. A decade back, the idea that brand had personalities and human-like traits emerged from the wonderful minds of Jennifer Aaker and Susan Fournier. This was, and still is quite controversial to some, but I think that if you take it with a pinch of salt, brands do have personalities and can be anthropomorphised. Personal branding functions the other way around, claiming that individuals can manage themselves like brands. Celebrities are a good example but now we see it being applied to just anyone. Branded.me is only one way to democratise and spread the creation of personal websites but if you think of it, your every move on the social web defines your brand, who you are, and how people perceive you. In an era where actual brands are loosing control and consumers are more and more empowered, is the balance of power reversing back with businesses making money out of the personal branding trend? Let’s see how useful this branded.me page is then. You can see mine here, and I’d love to know if you find it useful if you have one. Author laurencedessartPosted on March 14, 2015 Categories Marketing PracticeTags brand, branded.me, branding, personal branding, personality2 Comments on Me, myself…my brand.